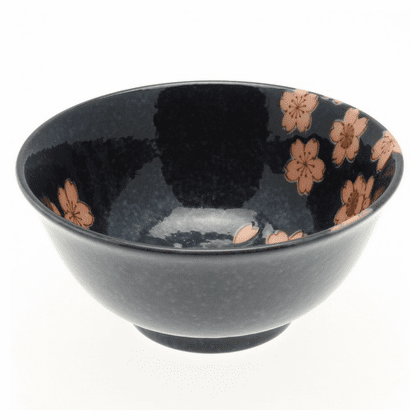 Japanese Moonlit Sakura Bowl 6"
Home | Ceramic Bowls - Plates - Condiment Containers | Dinnerware | Japanese Moonlit Sakura Series | Japanese Moonlit Sakura Bowl 6"
Ceramic pink blossom design on midnight blue background bowl. Perfect for serving noodle dishes. 6" in diameter, 2-3/4" tall. Click on picture to see details.